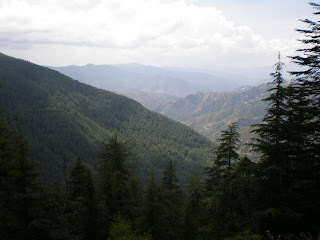 We got to see some of God's grace up north in Shimla. It was a relief from the 100F temperatures in Chennai. In Shimla we found rain, fruit and friendly people. It was nice to just rest and let some one else take care of the cooking ( I sound like a mom). 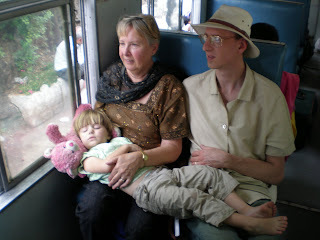 Ryan, Lois & Jeff loved the many hours we spent on trains getting there. I learned I can only ride forward in a train that has 915 curves. 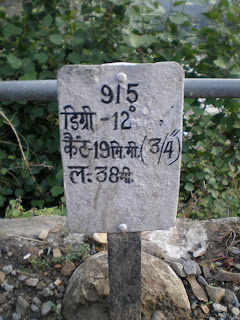 Here is a track marker for those of you who read Hindi. You are very lucky. Shimla is having one of its coolest summers in a decade. 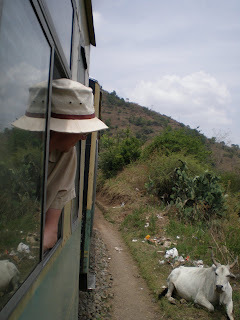 The train journey that you took from Kalka to here, is longer than the coach journey by road but it has better views on display. So long as you are around, do enjoy yourselves. And do keep the blog going so that we who live here more permanently know how we are looked upon.